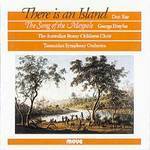 There is an island / Don Kay ; lyrics: Clive Sansom. The song of the maypole / George Dreyfus. Song of the maypole : cantata for children's choruses / music by George Dreyfus ; words by Frank Kellaway.